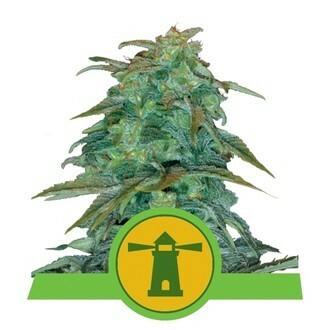 Royal Haze Automatic by Royal Queen Seeds is an autoflowering cannabis hybrid of the famous Amnesia Haze and Skunk. The result of this purely feminized cross is a majestic autoflowering breed that follows the steps of the well know Amsterdam Haze but with an easier approach to grow by yourself. Royal Haze Automatic is a marijuana strain that reaches from 60 to 100 cm in indoor conditions. According to this fact this cannabis breed is strongly advised for any type of indoor farming providing perfect results without much effort. This cannabis is a fast grower with average lifespan of 12 weeks from seed to harvest. The average harvest in proper indoor conditions will be 80 g per plant. 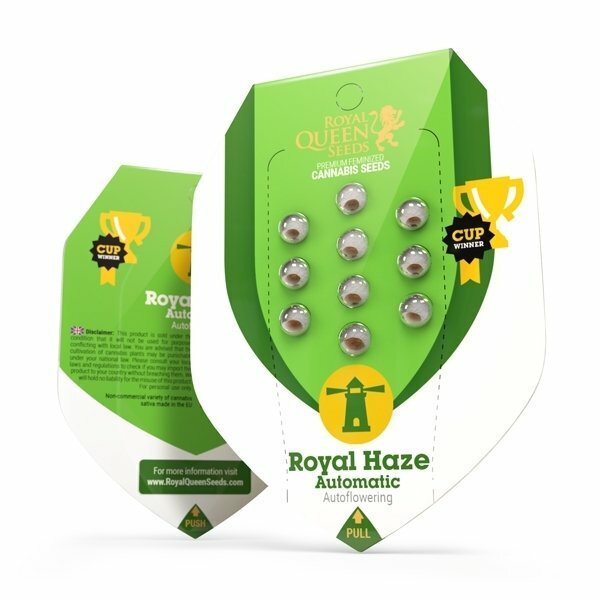 Royal Haze by Royal Queens Seeds is strongly advised for smokers looking for the traditional Haze but just want the result faster and easier without losing the freshness of the typical Haze. You will fall in love with the juicy taste and flavor. The high level of THC that reaches 20% will give you a memorable high with a positive energetic touch.